A Faculty Council consisting of five teachers with voting privileges and the Chapter advisor, a non-voting member, review all information about each candidate and votes on each.Candidates receiving a majority vote of the Faculty Council may be invited to become members of the Chapter. Students who hope to be nominated for membership are strongly encouraged to actively demonstrate their leadership skills, give numerous examples of service and always show good, positive character, both in the classroom and outside the classroom in the school community. Although the academic criteria are important and are considered first, candidates are also evaluated on their performance in the areas of leadership, service and character. Students who accept the invitation to become members must maintain the qualities of scholarship, service, leadership and character by which they were selected. Pay $10.00 dues for each year of membership. 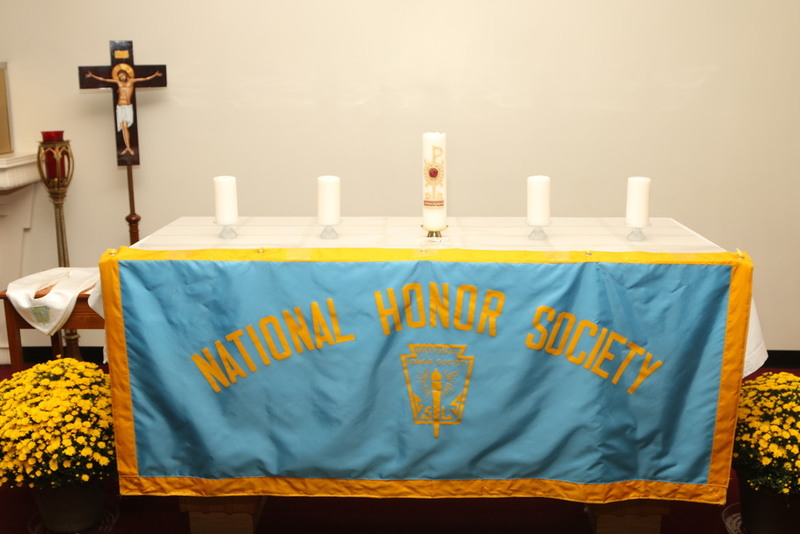 A member who does not maintain these requirements is subject to probation or dismissal from the National Honor Society. Members in good standing are eligible to apply for a National Honor Society Scholarship during the senior year, receive special recognition at graduation, and may attend any National Honor Society functions.